I've only recently come across Ruby White Tips and reviewed them HERE. I'm in love with them already and asked Laura, the gorgeous gal behind the polishes if she would do an interview, and happy to say she said yes and returned the questions a mere day later! 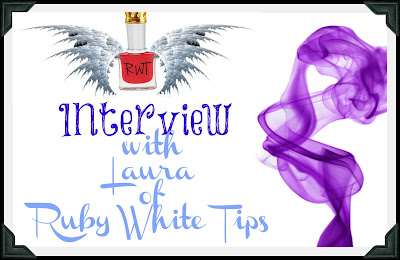 Laura is a very friendly and approachable polish maker and you can see in her polishes, bottles and the little touches that she does have a deep passion for them. Laura is no newbie at mixing polishes, having done it for over 20 years! The Etsy shop though, was opened in November 2012 (to the joy of polish lovers!). For those who have succumbed to the RwT's will notice they are extremely different...why and how? Will be revealed in the interview! A huge thank you to Laura for taking the time to answer the questions, for giving me permission to use the pictures off her Etsy store and for the generous discount below!! 1. Where did you get the name from! No where. The name has absolutely no rhyme or reason. I don't know anyone named Ruby, or White. It's just something that came about one night. My daughter and I were talking about what we should call the polishes. I love rubies, what girl doesn't. It just kinda sounded right. 2.How Long have you been selling the RwT's? When did you first open up an online shop to sell them? I've been mixing polishes together for over 20 years. But I just started the business on Etsy in November. 3. Where do you get the names of the polishes from? The names can come from the theme of the collection. Or from other people. I have the worst luck with names, I can never think of them when they time is right. Short shorts, I can see your ovaries, was a name that I thought up because I saw a girl with really short shorts and I thought it was funny looking. Sometimes the name just appears. It looks like this or that. 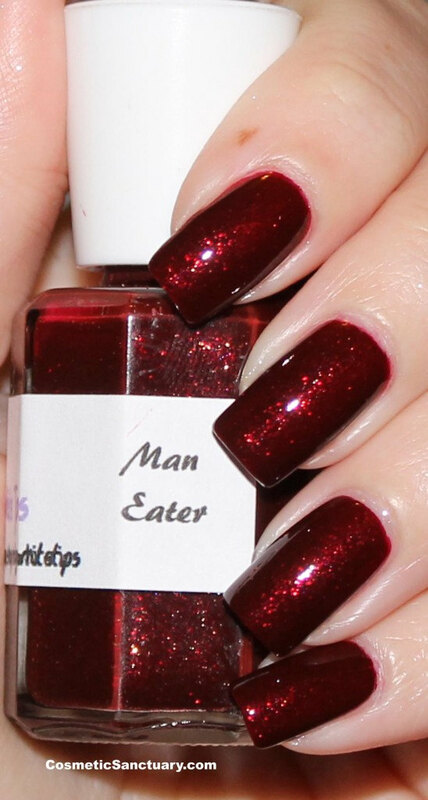 But the BatWorld.Org polishes are named for the bats. 4. 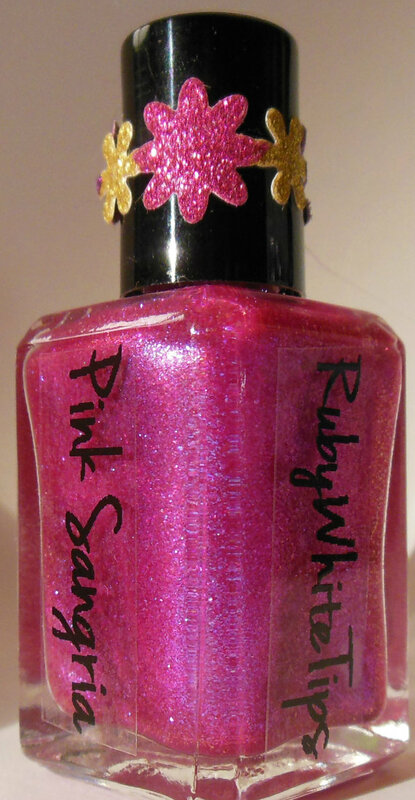 I have to ask, but do you have a soft spot for any particular RwT polish? 5. 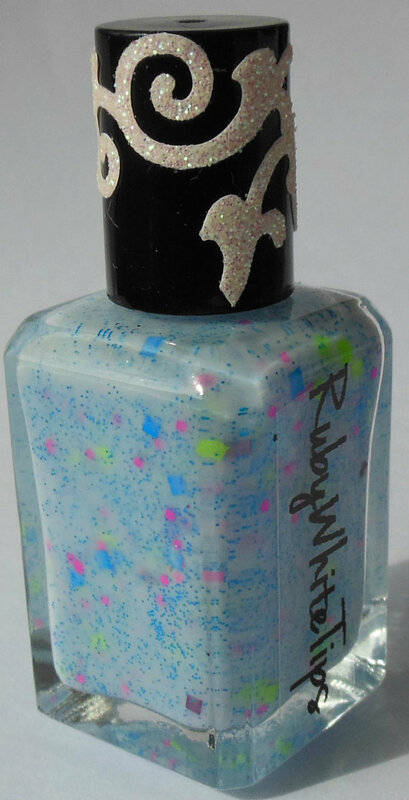 What was the name of the first RwT polish you sold? It was the Pancreatic Cancer Polish for my mom. It was a really pretty purple mirror look. A long time ago. I don't make that one any longer. 6. Were any of the polishes a problem to make the way you wanted it? Have you had to put some on the back burner till you can get the mixture right? All of them. I have a 3 month waiting period on each of the polishes that I sell. Except the customs. Those go out as soon as the customer is in love with it! Believe me, I'm sitting on 7 right now that I'm dying to let out. But it's the 7 deadly sins collection and It needs to sit a few more weeks. (it will be out before July 31st, the end of the starfish.) All of them are black based. YEP, black! Not sure if it's been done before, but I think that's what Ruby White Tips is all about. Trying new things! 7. I'm gonna guess that you're a polish lover, so do you have any major lemming that you wish you could grab but cant seem to find it anywhere? I know this sounds impossible, I don't have a lemming. Maybe Fantasy Fire, because I haven't seen it in person. Other than that, for the ones I ask for in trades, I got. Thanks to awesome traders, like Crystal S. and Chrissy. (won't say last names just in case they don't want to be on here). I have a lot of great polish friends out there. I wouldn't be where I am now without their help. 100% due to their kind words! 8. 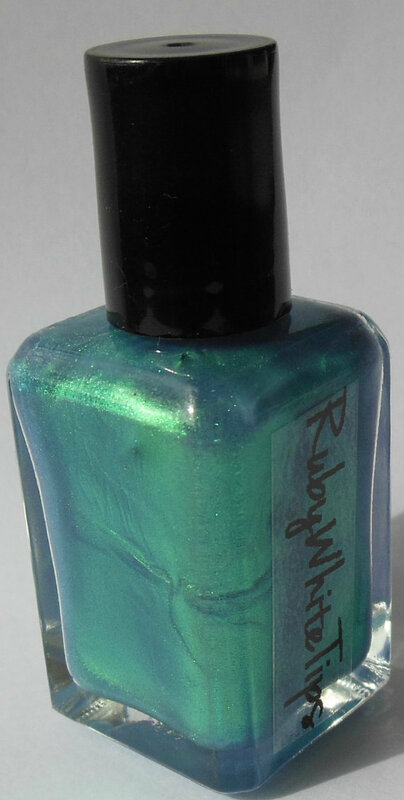 What made you start making polishes and when did you first start? 9. Ok, a bit about you i think! Early bird or Night Owl? Early Bird, now. Used to be a night own before I had kids! 12. Use 3 words to describe yourself! Mix of both, I can leave the house without makeup, but I love my heel flip flops! 14. Anywhere you would love to go to but haven't yet been? 15. Your idea of perfect relaxation? Mixing polish with my kids sound asleep! 16. You can take 3 things to a desert Island, what do you take? MP3 player, Sunscreen, Lighter to light fires! TV, Books then Movies....In that order! 18. Whats your biggest phobia? Other than Spiders, and anything crawling with more than 4 legs....Failing. 19. Countryside or the Ocean? 20. Any tips for budding polish makers? For all the new polish makers, team up with someone, for your time is no longer your own. Be ready to leave your family and friends behind. It's a 17 hour day, 7 days a week. It's rewarding, but you loose yourself in it too. Sometimes hours will go by and I've forgotten to feed the family. As a single parent, it's all on me. I need to make polish to pay the bills, but I need to spend time with the family too. But they know, this is the only thing I'm truly happy doing. So they sacrifice for me as well. 21. Whats the secret behind your very unique polishes? It's so cool that you ask. I usually get people saying it's thick, I say it's supposed to be. They either like it or hate it. But once they wear it, then it changes their mind! Yes, it's a mix that I made up, so no one else will have the same consistency as me. The colours are very unique. So some polishes will be a little more colour than another, it's only because I price what I spend. 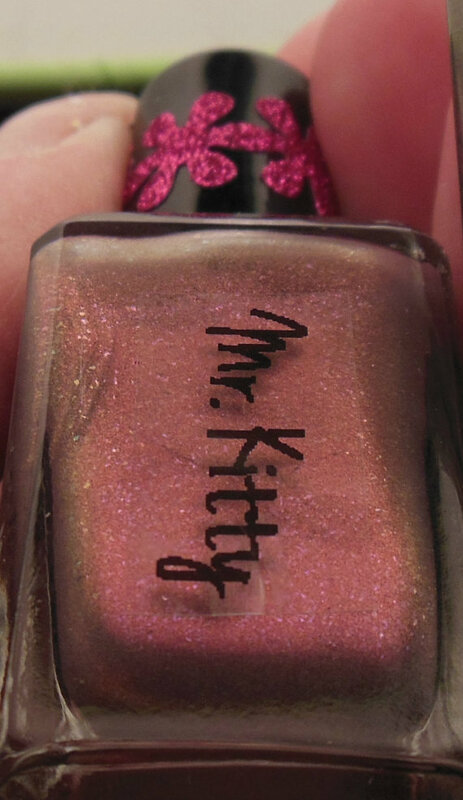 I love making polishes that depending on what colour you wear under it, if any, it looks totally different. What a great thing! You have 3 polishes in one! Or countless polishes in one! 22., Finally, whats up next for Ruby white Tips? And do you have any pics to share!! The 7 deadly Sins Collection is next! And after that, the American Horror Story Collection!!!! 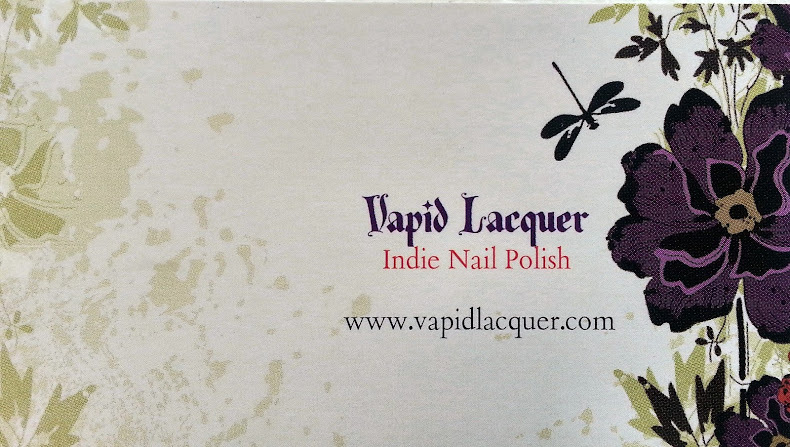 Plus, this is huge news too....I'm collaborating with Gnarly Nails who do a full line of polish for her readers. 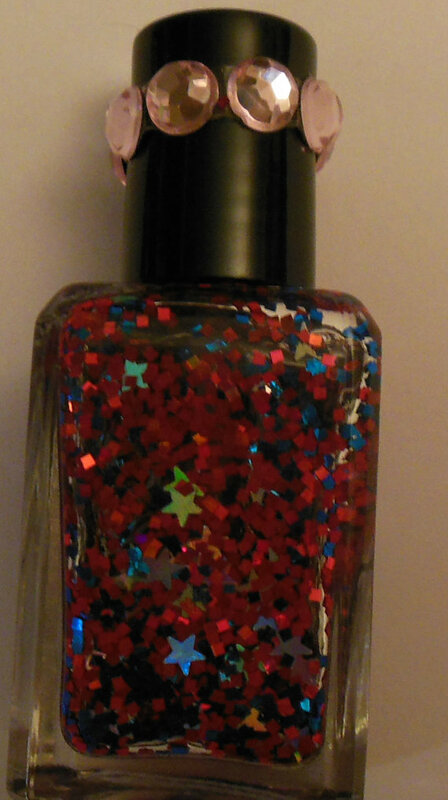 It will be 4 polishes for the Small Town Security Collection, the TV show that is based in her town. That's something new I've been doing. 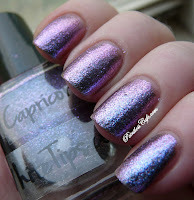 Collaborating with other Bloggers for their own polishes! So, there you go! The secret of RwT's polish is revealed! 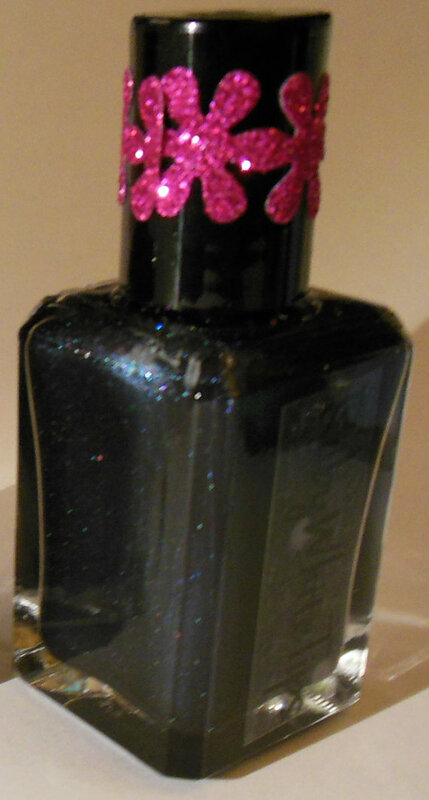 I love the ideas Laura has said and i really look forward to seeing the "seven deadly sins" - i don't think i have seen a collection based on black polish and knowing the fab consistencies they are, i think its gonna be a great collection. Laura has been super kind and generous and has given all the Penny For Them readers a discount of 15% at your next order at the RwT Etsy Store! Choose your pretties, and when you get to the shopping cart add in the code "PENNY" and the discount will be applied. Be quick to take advantage of it while you can!! If you are using this code, there is a tiny stipulation that Laura has kindly agreed to and will be checking! Please can you follow my blog in one way or another. 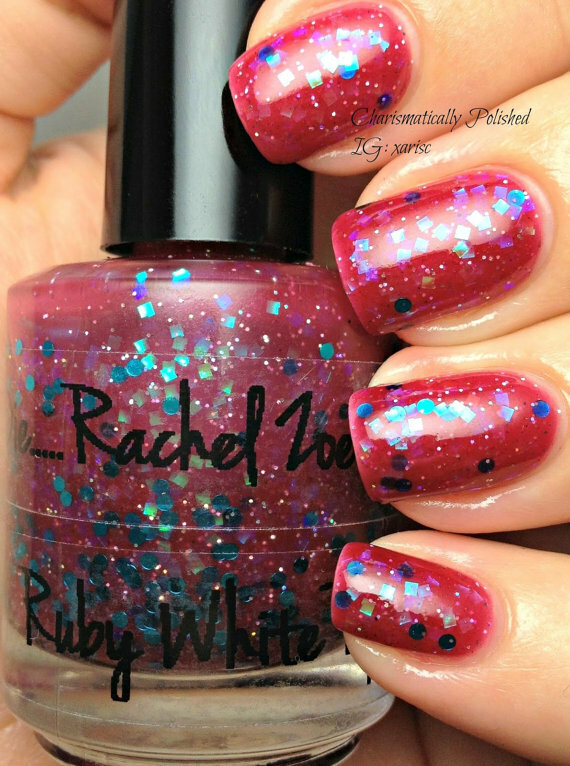 This way you always stay alerted to any more discount codes that RwT or any other polishes graciously say my blog can use! 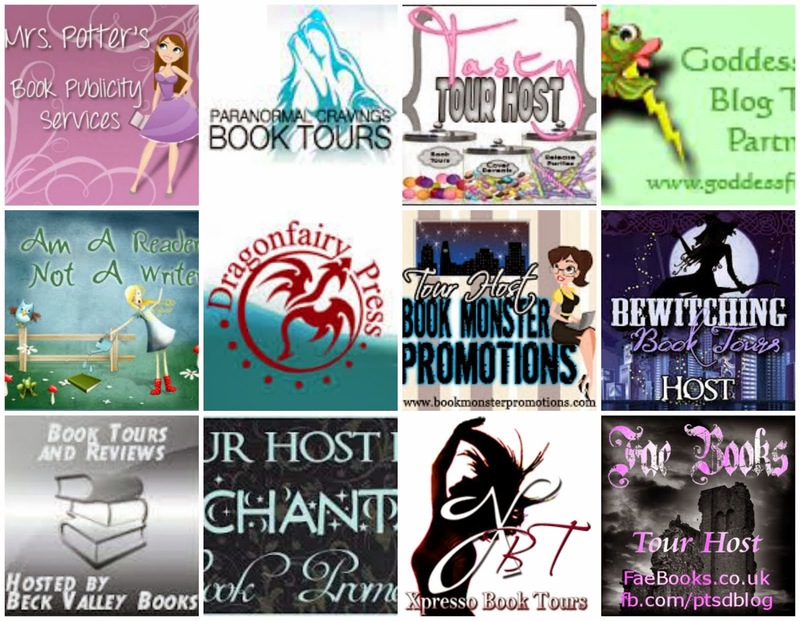 There are buttons to the right of this post to follow me by GFC, Bloglovin', Google+, Facebook, or other ways. When you do your order with RwT, please leave a comment saying how you followed me, and Laura will pass it on to me to check! Beautiful!!! I love it Claire!!!!!! Thank you!! I was hoping it would be ok for you! So pleased you agreed to do an interview - i love seeing the person behind the polish! Youre fab! And you KNOW ill be ordering by the end of the month!! 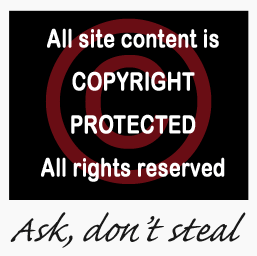 If theres anything i can ever do to help on the blog, be sure to let me know!! Laura is the best!!!! Hip hip hooray! She really is just the nicest woman and I'm so fortunate to have met her in this crazy little polish community of ours! Thank you for a great interview with her! Im envious that youve met her! Being the UK is hard for Indie polish lovers as most of them come all the way from USA or somewhere else abroad. I know we are seeing more UK Indies up and coming now and am pleased! Laura's polishes really are unique, and i LOVE that! Glad you liked the interview!! I loved doing it! !